Join us for the annual Presidio La Bahia Christmas Rendezvous and Trade Fair on December 7-8, 2019 at the Presidio La Bahia in Goliad, Texas. On the first weekend of December period craftsmen, artisans and Texas living history reenactors will gather on the grounds of Presidio La Bahia to bring history to life! Those gathered at the Presidio La Bahia will trade or sell the crafts and wares they have made and collected during the year. Take the day and visit Presidio La Bahia and browse the trade blankets and settlers tents for unique Christmas gifts for that special person on your list! Dress for the weather as this event takes place out doors. The Presidio La Bahia Christmas Rendezvous and Trade Fair is primarily a bazaar for sutlers and traders to offer their wares. There will be some “Rendezvous” type competitions and activities including: Archery, Tomahawk & Knife Throwing, Fire Starting and Cooking Contest. This event usually coincides with “Christmas on the Square” in downtown Goliad. Admission is $4 for adults, $3.50 for seniors, $1 for children 6-11, under 6 are free. Candlelight Tour tickets are an additional $2 and must be purchased the day of the event. All Texas Association of Buckskinners (TAB) Rules and Code of Conduct will be enforced. Traders and Artisans: You are encouraged to set up a shop, table, or blanket (no additional trade fee). Please limit wares to pre-1860 goods and absolutely no plastic items. Tradespeople are encouraged to demonstrate their craft. General camping and participants allowed free of charge. There are limited spaces in the barracks for camping. Contact the Booshway for availability. Ground fires allowed; set sod aside for replacement. Dogs allowed; must be on leash and cleaned up after. If staying for both days, camping at Goliad State Park adds to the experience of the Presidio La Bahia Christmas Rendezvous and Trade Fair. It is a short walk and an even shorter bike ride to the Presidio. The park campground includes full hook-ups for campers, as well as tent camping areas. There are bathrooms and showers throughout the Park. Presidio la Bahia is the only complete Spanish fort west of the Mississippi. Located in Goliad, or, more accurately before 1829, La Bahía, lay on the important route from the Gulf of Mexico to San Antonio de Béxar. The presidio served as the customs house for Copano (El Cópano), established on Aransas Bay about the same time as San Antonio, served as the principal port of entry. These three points were the key to control of South Texas. La Bahía had immense strategic importance, since it guarded the supply line from the coast to the principal city. This new municipality owed its importance to the port of Copano, forty miles distant, which had begun to compete with Matamoros for the lucrative Mexican interior trade, for which the new town of Goliad supplied expert smugglers, as well as oxcarts and drivers who provided transportation between markets and port. 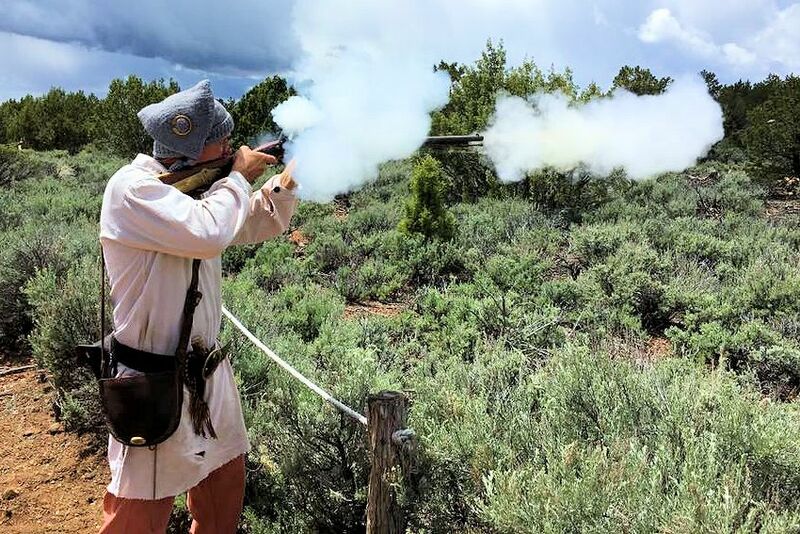 Texas Association of Buckskinners is a friendly group that encourages period correct equipment and skills, while helping new pilgrims get more involved in the hobby. 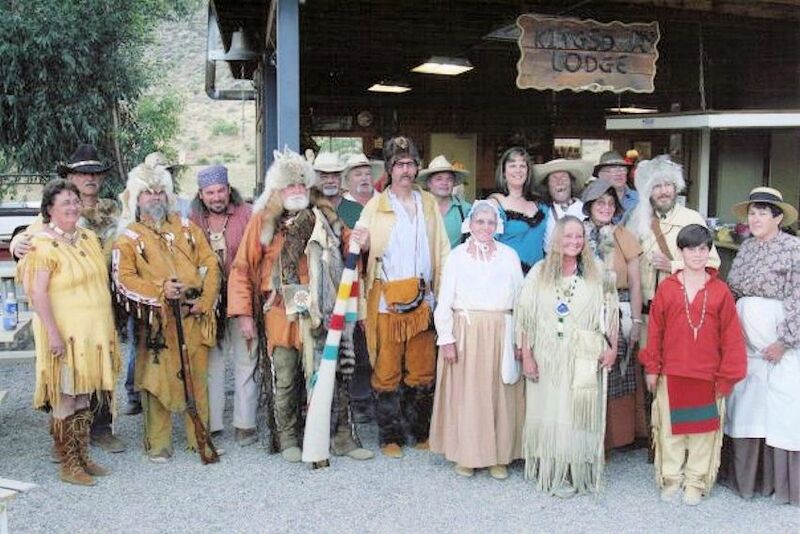 The Texas Association of Buckskinners (TAB) began in the late 1970s when three friends who were interested in survivalism decided to put together a group to focus on survival skills based on the Mountain Men of the Western Fur Trade. After several decades, it is one of the oldest buckskinning groups in Texas and is still going strong, with events held the last weekend of January (Deep Winter), the third weekend in April (Spring) and the last weekend in October (Fall). New members are always welcome. Mark your calendar today so you won’t miss the next Presidio La Bahia Christmas Rendezvous and Trade Fair on the first weekend of December at the Presidio La Bahia in Goliad, Texas.